Five years ago, as part of the “It Gets Better” movement, I created a small page that used PHP and the GD library to make any given image into a purple version, optionally adding “It gets better” text to the bottom. 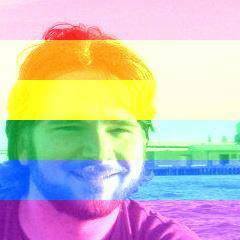 Today, in recognition of the wonderful news out the Supreme Court that made marriage equality the law of the land, I made a new version that adds rainbow stripes to images. To try if for yourself, head here. I’ve never felt better about dusting off five-year-old code. I put together a web-based version of the game that we then projected onto the wall of her living room. The game is controlled by a strip of controls along the bottom of the page which, when presented fullscreen, is cut off by the way I had the projector set up. The controls allow for a new entry to be entered, with both the name of the person that said it and what they said. Only the actual statement is shown, with the name being hidden. Once everyone has submitted their answer, the ‘Reveal N’ button steps through each answer, revealing who said what. 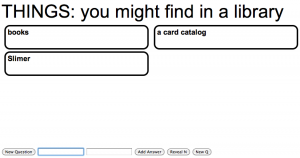 Just threw together a small tool to help generate game design ideas. The page presents two game mechanics (drawn from the excellent list at Board Game Geek), and two subjects. 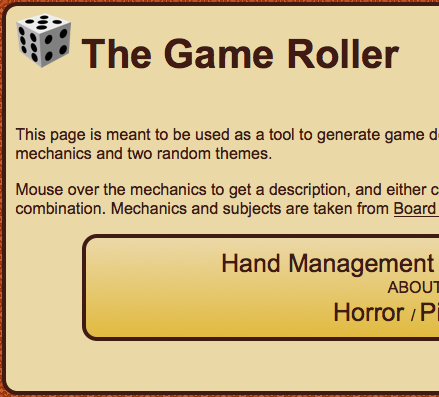 Mousing over either mechanic shows the description, and reloading the page presents a new combination. Last week, after two years of valiant service, my macbook HD finally died. Fortunately, I had everything backed up and/or committed to external repos, so I didn’t lose anything. I did have to reinstall everything, though. So, while waiting for things to install, I whipped up a small IRC bot (“howard”, so named after the dolphin sidekick in my favorite book of all time) that can be used to send love (of the Linden Lab, love machine variety) amongst my fellow Cull.tv compatriots. The bot was written in PHP, using NetSmart_IRC, and stores love in a really simple little db table on my site. In the wake of recent suicides by LGBT youths, some people have been wearing purple to show solidarity with LGBT youth and remind them that it does get better. I created a small PHP script to make it really easy to purple-ize a given JPEG, along with an option to add “it gets better” text to the bottom. This was one of the tools I built during my time at Linden Lab. It is meant to make it easy for employees to indicate when they will be out of the office, and to easily see when their teammates will be gone or otherwise unavailable. I developed both the back-end (MySQL/PHP) and front-end (HTML/JS) components of the system from start-to-finish, though I owed Johnhenry Righter a big debt of gratitude for making it actually look good. This was a tool I wrote while at Linden Lab to make it easy for employees to monitor metrics related to Second Life. A user could select metrics to subscribe to, which would then be displayed in individual windows. The background color (green, yellow, or red) of the window indicated whether the number was “good” (green), “bad” (red), or in between (yellow). There was also a lightweight social component, in that the page to allow users to subscribe to metrics also displayed the usernames of everyone that had signed up to watch a given metric. This was an experiment in learning the GD graphics library offered by PHP. 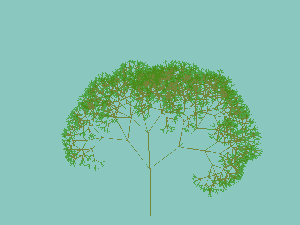 The script generates a simple, graphic tree via a simple L-system, implemented via recursion. Go here to see it for yourself. An exercise in recombinant journalism by Chris Graves, David Newell, and myself. We developed a fictional web news site that would lift content from “legitimate” news sites and re-combine it into alternate stories. 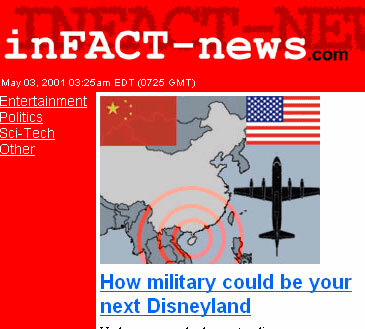 Since we took the content a sentence at a time, Each individual sentence (except for a very few thrown in by the software we developed, and all the titles) was a “true” piece of actual news. The recombination produced some hilarious, and occasionally truthful, results (see below).All of the content was generated completely on-the-fly, with no human intervention. Chris and I did the programming, using a combination of PHP and MySQL, while Dave did the web design.